Another 40 days of politicking has come and passed, lawmakers have gone home, and there’s a new slate of legislation sitting atop Governor Brian Kemp’s desk. 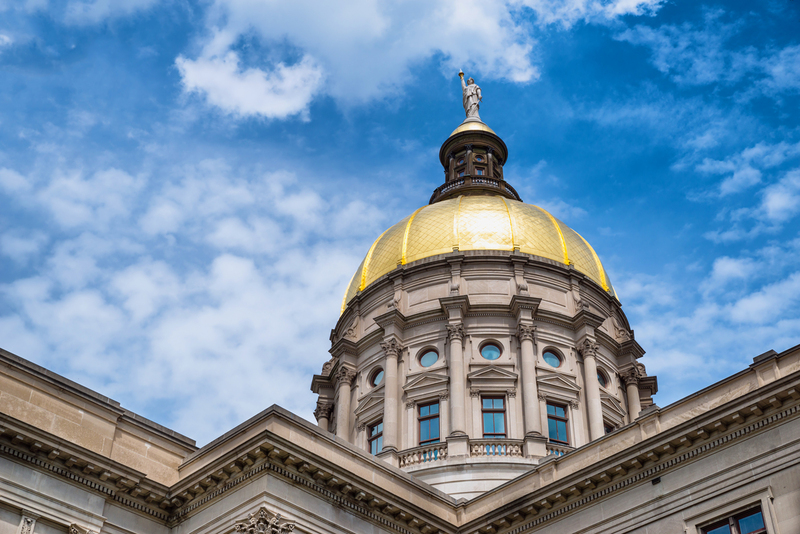 After watching his first legislative session as the state’s chief executive, Kemp now has until May 12 to sign or veto the bills that cleared the Legislature during this recent General Assembly. Some proposals will be a no-brainer for the governor, such as the budget for the next fiscal year. Others, however, are marred in controversy and may even be subject to lawsuits and other legal challenges. Here’s a look at some of the most impactful measures that made their way passed the state House and Senate. The most controversial measure to pass the legislature in 2019, House Bill 481, if it earns Kemp’s signature, would impose some of the strictest abortion regulations in the country. Nicknamed the “heartbeat bill,” the legislation would bar women from terminating pregnancies after a doctor can detect a pulse in an embryo, which can happen as early as six weeks into gestation—before many women even know that they are pregnant. The “heartbeat bill” has met fierce criticism from many groups, including the Medical Association of Georgia and several obstetrics and gynecology providers, who believe women should have the right to decide whether an abortion is necessary and worry it the bill would limit a doctor’s ability to provide medical care, along with concerns about the business ramifications Kemp’s passage of the bill could have. In regard to the latter, the bill reminiscent of the many so-called “religious liberty” bills pushed by conservative Republicans nearly every General Assembly in recent history. As with the proposed Religious Freedom Restoration Acts, many people prominent in the film and TV industry—an economic engine that produced nearly $10 billion in revenue for the state in fiscal year 2018—including actors Alyssa Milano and Alec Baldwin, have threatened to boycott Georgia as a movie and TV production site. Kemp is still expected to ratify the legislation, according to the Atlanta Journal-Constitution—something the business-minded former Governor Nathan Deal would have likely thought twice about. But if Kemp signs HB 481, legal fights by organizations like the American Civil Liberties Union will surely follow, cases that could potentially wind up in the Supreme Court for a debate over whether the bill violates Roe v. Wade. Related reading: Our article on the women who will be disproportionately affected if HB 481 is signed into law. Georgia’s notoriously outdated elections system is poised for an overhaul. Voting rights activists and many Democrats have been calling for a new system since before Kemp, the former secretary of state and head elections officer, took the chief seat. House Bill 316, which Kemp quietly signed on Sine Die (the colloquial name for the last day of the legislative session) along with 20 other pieces of House legislation, would replace Georgia’s 17-year-old voting machines with an upgraded touchscreen system that prints out paper ballots. That’s not quite the kind of update people like Democrat Stacey Abrams, who says Kemp beat her in this past gubernatorial contest by weaponizing voter suppression, have been looking for. Ditto the cybersecurity experts who claim an electronic-based system is liable to be vulnerable to hackers. Kemp and the mostly Republican supporters of the bill say the proposed system is more streamlined and intuitive. Those in opposition, however, don’t think there’s any more secure—or auditable—manner of casting votes than hand-marking paper ballots. Fair Fight Action, Abrams’s voters rights organization, recently ran a TV ad that calls the system update “corruption at its worst,” according to the AJC. Much like the “heartbeat bill,” the proposed elections system revamp is staring down the barrel of legal challenges from election integrity advocates. Related reading: Our article from last August on why Georgia’s election system needs an update. A less controversial measure that will affect all Georgians is the budget plan for the upcoming fiscal year. Passed with overwhelming bipartisan support, the record-breaking $27.5 billion spending plan, includes one of the largest pay raises for public schools teachers—a $3,000 pay bump—in Georgia history, as well as a 2 percent salary increase for tens of thousands of state employees, such as those at the University System of Georgia, according to the Georgia Budget and Policy Institute. Those wage hikes would use about $600 million of the budget, which also has other funds earmarked for school infrastructure improvements, such as university building upgrades. Plus, $150 million would be allocated for the purchase and installation of the aforementioned voting system. Since 2015, when former state Rep. Allen Peake, a Republican from Macon, carried Georgia’s first medical marijuana bill through the Legislature, people using the state-approved low-THC oils to treat ailments afflicting themselves or their children have been virtually unable to buy the drug legally. If Kemp signs House Bill 324, six private companies and two state universities would be allowed grow weed and produce medical cannabis oil. (Smoking and eating marijuana edibles would still be illegal, even for the more than 8,000 patients on Georgia’s medical marijuana registry.) The would-be law—it’s still unclear if Kemp will ratify the bill—would also allow pharmacies to distribute the oils, and it would create a state oversight board that would determine which private companies could be licensed for dispensaries. Related reading: Our August 2015 feature story on how the lack of in-state cultivation posed problems for those seeking legal medical marijuana. In the wake of the Parkland massacre roughly one year ago, state lawmakers crafted Senate Bill 15, which would create new rules regarding how schools secure their campuses. The school security measure would require public institutions to conduct regular threat assessments, create safety plans, and carry out drills, such as active shooter exercises. It would also force schools to coordinate with state agencies and local law enforcement in cases of suspicious behavior by students. In effect, rather than just having to talk with a school counselor, students exhibiting concerning behavior could be reported to the Georgia Information Sharing and Analysis Center, a counterterrorism and intelligence agency—a controversial aspect of the bill, especially for parents who don’t want their kids on government lists for just acting out.